Pictured is a computer generated mock-up of the future city clock to be installed at the corner of Main and Mill streets. The Waterloo City Council on Monday night approved the purchase of a street clock to be installed downtown early this summer. The decorative 12-foot-tall clock will be stationed on a two-foot-tall platform at the corner of Main and Mill streets. This is on the former Midland States Bank drive-up facility property now owned by the Gallagher family. 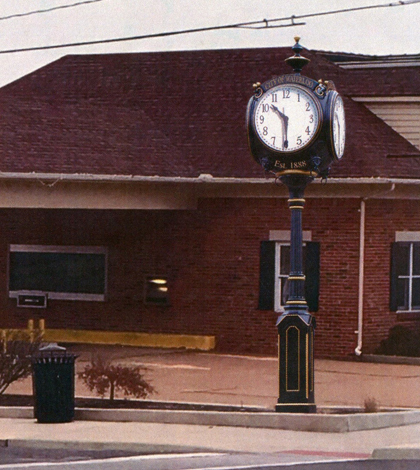 The Verdin Street Clock Model 4M/ST2 was purchased at a cost of $22,959, including installation. Money for the clock will come out of the Downtown Beautification/Video Gaming Fund. The city created this fund to use its share of video gambling revenue for efforts that beautify the downtown area. 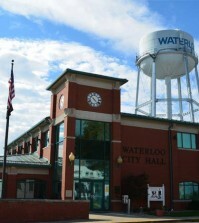 Waterloo Mayor Tom Smith told council members he expects the clock to arrive sometime after May 1 and be installed soon after. Also on Monday, the council approved an intergovernmental agreement with Monroe County to enforce a local ordinance dealing with cannabis and drug paraphernalia possession. This agreement allows Waterloo police to enforce the ordinance, and sets fines for minor marijuana possession (less than 10 grams) under the Illinois’ Cannabis Control act that decriminalized minor pot infractions. Enforcing the county’s ordinance rather than having it be a civil offense reduces the amount of paperwork at the Monroe County Courthouse and also earmarks $105 of each fine for local administrative fees and law enforcement funds. Some of the money that was previously going to the state for these offenses will now stay in the county. Columbia recently approved the same intergovernmental agreement. 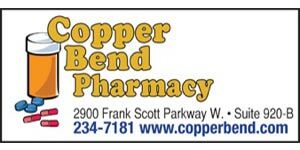 The county ordinance sets a fine of $150 for a first offense, with each subsequent arrest being subject to a $100 increase, up to $1,000, with a provision to permit the proper use of physician-prescribed medical marijuana. The council also approved an increase in the monthly household charge for trash pickup to $15.11. This represents a 1.5 percent increase, or an additional 22 cents per month, in accordance with the city’s ongoing contract with Reliable Sanitation. Alderman also gave the OK for the city’s annual $7,500 contribution to Western Egyptian for use at the senior center and nutrition site located at 207 W. Fourth Street. Director Kim Elizalde said the center cooks all the meals for area senior sites and offers a Meals on Wheels delivery service. Meals are served at the center Monday through Thursday at 11:30 a.m. In addition, the center offers a free tax service, medicaid/medicare services and other informational guidance for seniors.”You guys do a great job down there,” Smith said.